A. Italian citizenship is granted by birth through the paternal (your father’s) line with no limit on the number of generations. B. Italian citizenship is granted through the maternal (your mother’s) line for individuals born after January 1, 1948. If you were born in any country where citizenship was acquired by birth and any of the following situations applies to you may be considered an Italian citizen. Note that for each category all conditions must be met. 1. Your father was an Italian citizen at the time of your birth and you have never renounced your right to Italian citizenship. 2. Your mother was an Italian citizen at the time of your birth, AND you were born after January 1, 1948 AND you never renounced your right to Italian citizenship. 3. 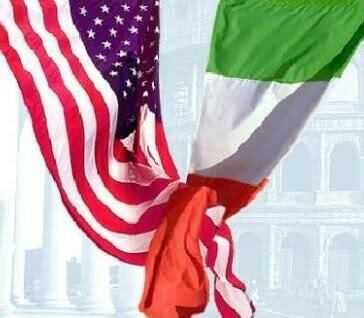 Your father was born here in the United States AND your grandfather was an Italian citizen at the time of his birth AND neither you nor your father ever renounced your right to Italian citizenship. 5. Your paternal or maternal grandfather was born in the United States; your paternal great grandfather was an Italian citizen at the time if his birth, neither you nor your father nor your grandfather ever renounced you right to Italian citizenship. Generally to acquire a foreign birth certificate, marriage certificate, death certificate costs $135 USD. You must furnish the correct spelling of the descendant’s name, his correct place of birth, his correct date of birth.Use our online form. While incorrect documents can be found, there would naturally be additional cost. The more accurate the information, the more efficient is the process.